Home Politics Election Postponement, Buhari's 'Crocodile' Tears, Says Uche Secondus........Urges The President To Respect The Will Of The People and Stop Pretending. Election Postponement, Buhari's 'Crocodile' Tears, Says Uche Secondus........Urges The President To Respect The Will Of The People and Stop Pretending. The National Chairman of the Peoples Democratic Party, PDP, Prince Uche Secondus says that President Muhammadu Buhari would be taking Nigerians to be fools if he thinks he will persuade anybody with his crocodile tears over the postponement of the general election four hours to voting time. Prince Secondus said that President Buhari's spirited attempt to extricate himself from the electoral malady merely exposed the hypocrisy of his administration. The National Chairman said that conducting a general election is the most important national assignment of any government in four years and for the President and Commander in Chief who is privy to every intelligence trying to feign ignorance of the challenge of the Independent National Electoral Commission, INEC, is the height of government insincerity to her people. Prince Secondus said in a follow up statement from his media office to Saturday's shocking postponement of Presidential election scheduled for today that President Buhari's attempt to shift blame is not persuading enough to any discerning minds. The National Chairman said that the events leading to the postponement could not have come to both the President and the INEC as a surprise given that the president's controversial niece Amina Zakari was the Chairperson of the Electoral operations and Logistics Committee possibly to ensure that the desired agenda is exceuted. 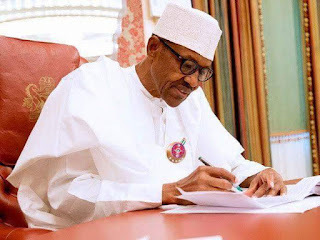 The PDP leader said that President Buhari's blame game is in line with his usual way of being unaware of anything happening around him and wondered what he is aware of. He advised President Buhari to stop hiding under the cover of being unaware and accept the reality that he has failed woefully in piloting the affairs of this country, a mandate that was lavishly given to him by Nigerians four years ago. The National Chairman said that the APC and the INEC should stop their hide and seek game and agree with themselves that what God has sealed can never be thwarted by any human scheming. Prince Secondus said that Nigerians are resilient that President Buhari and his APC will be thrown out in their political life and no amount of underhand plan will change what has already been destined. He then finally advised President Buhari to respect his age and status as an elder statesman and ensure that the will of the people prevails especially as his Presidency was a beneficiary of such political large heart.